You might remember Passion from it’s succulent nectar of Peach Bellini, our limited edition candle devoted to the unbridled delirium of love. 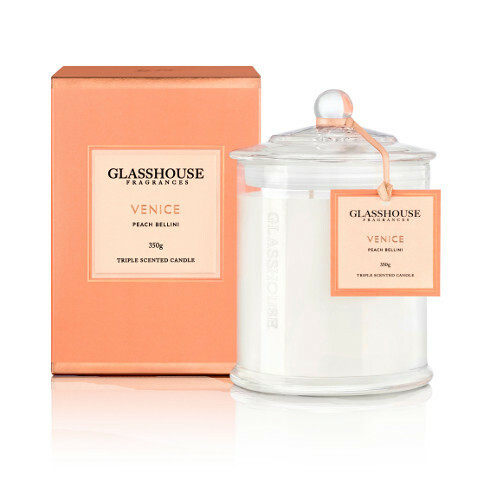 Now this fragrance is returning, as we introduce it as Venice to our Destination Collection. Be swept up in the sweet serenade of an operatic aria as your gondola glides through the world’s most romantic canals. With notes of succulent Nectar, Prosecco and a hint of sparkle, raise your Peach Bellini to a toast to Venice, the city of masks.